I finally picked a name for this section on the blog. I was never satisfied with the “Links Worth Sharing” name. It was a bit too cold. I haven’t settled for a language as well. I’d like to write in French but I want as well to reach a global audience. I read mostly articles in English, so I’m not sure it makes sense to write French here. I picked the name “Nebula”. The latin for “fog” or “cloud”. It’s also in reference of the Interstellar Cloud which can give birth to stars. As I’m more and more drawn into astronomy, I think it suits well. This section is an unorganized collection of links, which feeds my mind with inspiration. ??? La Quadrature du net engagera une action collective contre les GAFAM. Inscrivez-vous ! ?‍? Walls and Skin, a tattoo shop in multiple cities in the Netherlands, offers you to preserve your tattoos after your death. One of the cofounder, Judith Van Bezu, even released a thesis.
? Childish Gambino released a new music video called “This is America”, directed by Hiro Murai. An analysis on Twitter. The Lyrics and their explanation. The New Yorker article about the video. ℹ️ Spotify removes artists from playlist as part of New Hate Content & Hateful Conduct Policy. L’article en Français. ?‍? The Sisyphus Kinetic Art Table is a handcrafted, smart, and meditative coffee table. A Raspberry-pi controlled marble continuously draws in Kinetic sand mandala-like drawings. Hypnotic! ?‍? eVolo‘s 2018 Skyscraper competition winner is a concept for a foldable skyscraper for disaster zones named Skyshelter.zip, by Damian Granosik, Jakub Kulisa, and Piotr Pańczyk.
? Daniel DeNicola, a Professor of Philosophy at Gettysburg College in Pennsylvania, argues in a short but dense piece that You don’t have a right to believe whatever you want to. 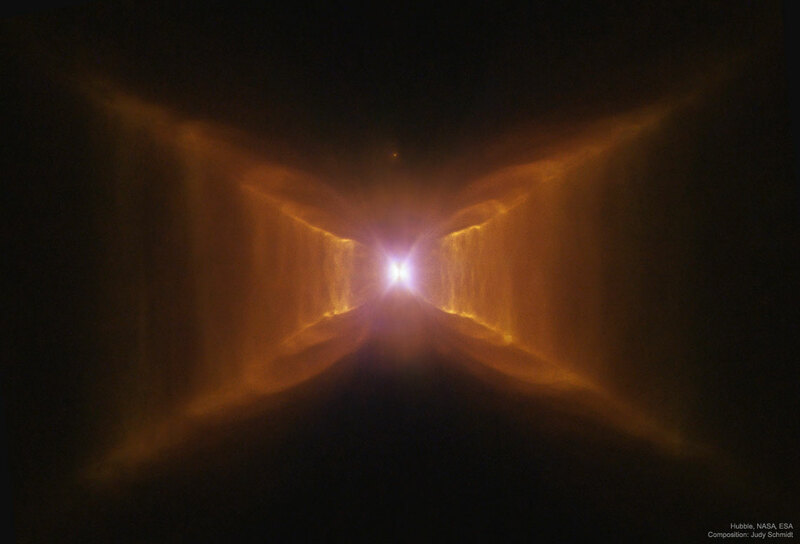 Image: The Red Rectangle Nebula from Hubble. Credit: Hubble, NASA, ESA; Processing & License: Judy Schmidt.